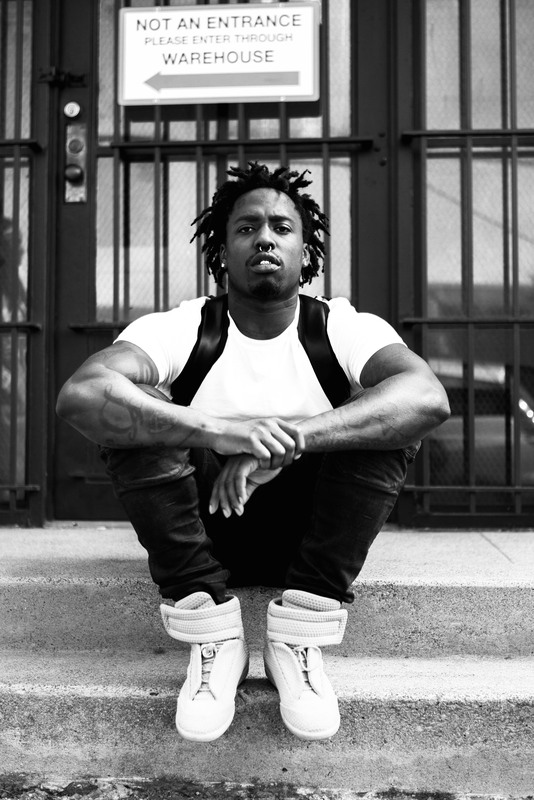 Simple and plain, ALLBLACK already knows what he wants out of his music career, even if he can’t quite picture what it looks like in his head. The Oakland-bred rapper is on a mission to find peace, and can’t consider his career a success until he not only reaches that elusive state of nirvana but stays there. 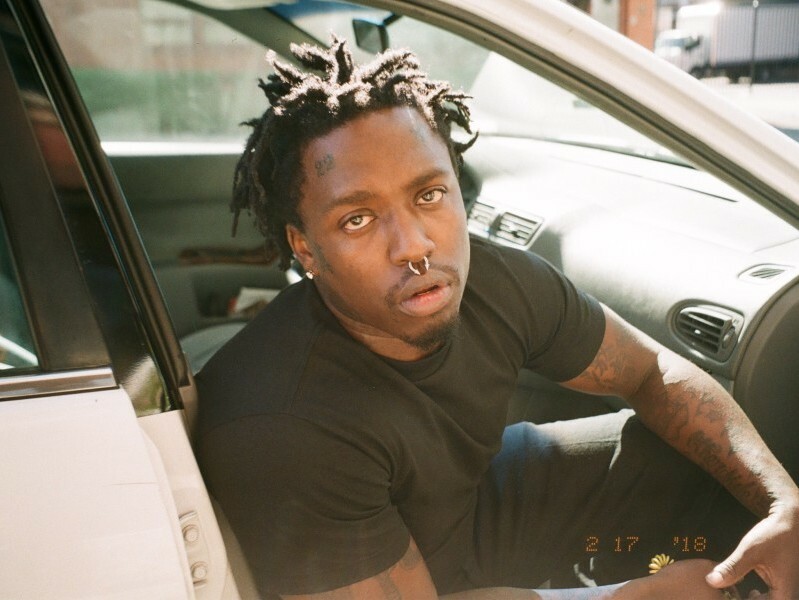 In his words, it’s the “flamboyant sauce” that separates Oakland from the rest of the rap map, and there’s no questioning that ALLBLACK has plenty of it. He speaks with the conviction required of any artist who aspires to break it big, which comes through loud and clear whether he’s talking over the phone or rapping into the mic. The “career” was birthed when he returned to the Bay after a trip to Atlanta, recording his first two songs during a 12-hour studio session with friends. After locking in his cousin Delency as his manager he realized the potential success ahead and quickly began charting his path upward. Now, his new EP Outcalls serves as another promising step forward, a concise project filled with an infectious Oakland energy. He displays his verbal dexterity on the standout “ALLWHITE,” while the Shoreline Mafia-assisted “Road Run” dominates with a parade of hard-hitting verses over abrasive DTB production. While his previous project KimSon focused more on himself, ALLBLACK released Outcalls to show that he was back in action, finally back at full strength. With features from several rappers heavy in his personal rotation, it’s a much broader project as well, always keeping the soundscape fresh with a new lyricist and a new story. In hindsight, ALLBLACK doesn’t like where he was mentally during the creation of KimSon. While he’s still proud of the project and what it did for his career, he’s even more proud of his personal progress in the time since. Along with the growth that’s enabled him to see things in a different light, ALLBLACK believes he’s improved when it comes to analyzing a beat and figuring out the best way to lay his verse over it. Pulling directly from his experiences and emotions, ALLBLACK’s writing process is rather personal. Typically, he’ll write his lyrics while alone in the hours after midnight, giving himself the space to decompress on the page. When it’s time to record in the studio, however, it’s a dramatically different ambiance, involving his entire crew and plenty of energy for him to feed off of when it comes time for him to speak into the mic. As of late, there’s been a new face in the studio as well: ALLBLACK’s newborn daughter. Calling him excited about raising a child would be a severe understatement, as he’s already taking care to have as much interaction with her as possible, without hesitating to go the extra mile. There have been mixed feelings about the difficulty to break out of the Bay Area music scene onto the national scale, but ALLBLACK expresses that he doesn’t feel any internal conflict holding him back. Crediting the team around him for always putting him in the right position, he’s confident in his own skill set as well, making such pressures essentially non-existent in his eyes. Stay up to date on ALLBLACK’s every move by following him on Instagram @whoisallblack For tickets to his upcoming 510 show, TY4FWM, visit here.